Every year HubSpot polls marketers and salespeople on their most pressing priorites, biggest challenges, and the tactics they've used to address them to produce the State of Inbound. Last year’s report featured analysis from over 4500 respondents in marketing and sales to uncover global trends in the industry. With this year’s report due to be released next week, we decided to revisit one of the key takeaways that came out of both the 2015 & 2016 reports - the benefits of service level agreements (SLAs) between marketing and sales. Everything tends to move a bit more quickly in the world of selling. This is true at both the micro level when it comes to tight deadlines and monthly quotas, and at the macro level where new marketing strategies and overarching trends seem to come and go on a regular basis. However, it’s for this exact reason that SLAs and overall alignment between marketing and sales stood out to us. This topic is more than a trendy new fad that’s due to flame out after a short amount of time. It’s a shift that’s beginning to occur, albeit a bit slowly, within many organizations across all industries. Those organizations that have already made the transition are seeing measurable results in their marketing and sales teams and on their bottom line. The relationship between marketing sales tends to be contentious. Marketing teams believe that the leads they've generated are being wasted by the sales team. Sales teams believe that the leads that come from marketing are not of a high enough quality or quantity. These disagreements stem from misalignment between the goals and expectations of each department, and that's where an SLA comes into play. An SLA between marketing and sales is a contract that holds each team accountable to specific, agreed-upon expectations that align to the same goal - driving revenue. Organizations that have taken the time to make the tactical and structural changes that come out of an SLA have better alignment between their marketing and sales teams. As you can see, companies with formal SLAs are improving efficiency as evidenced by the increase on their year over year ROI from marketing and sales. The growth these companies are experiencing is forcing them to expand their sales teams to meet the increased demand. They're also fostering greater trust between their marketing and sales. Despite this evidence, and the attention marketing and sales alignment is receiving, there still remains a gap. According to HubSpot, 43% of companies still identify proving ROI of marketing activity as one of their biggest challenges. This is not too surprising since just 22% of companies report having a formal SLA in place, and 25% of companies say their marketing and sales teams are either rarely aligned or misaligned. Of those companies who are misaligned between marketing and sales, only 20% thought their marketing strategy was effective. To create an SLA, the first thing to ask yourself is, "Do I have clear definitions around each lifecycle stage of my organization marketing funnel?" This means understanding the set of criteria it takes for a lead to be considered marketing qualified and sales qualified. Defining and documenting this set of criterion will act as the foundation for your SLA. From there you can begin to create a set of rules to align your marketing and sales operations, and goals for each team to be measured against. Going through this process will give both departments visibility into each other's efforts, and help them understand how to better drive leads through the funnel. If you're looking to create your own SLA we’re hosting a webinar on May 16th titled ‘Leveraging SLAs for Marketing and Sales Unification’. 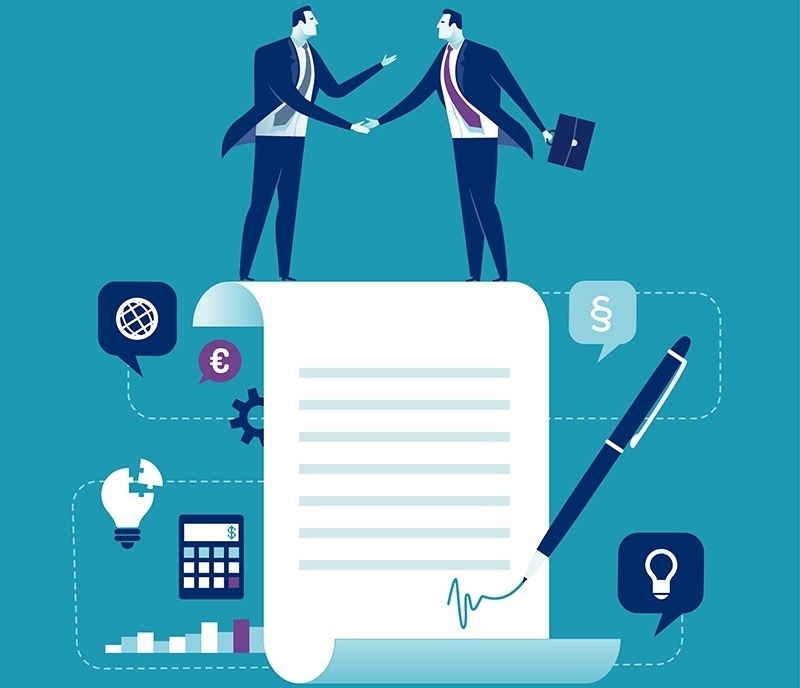 We’ll show you all 7 steps it takes to create your own service level agreement between marketing and sales, including best practices and real world applications.